If there’s a place to fall in love with, it has to be The Old Crow. Fall in love with the food. Fall for the atmosphere. The Old Crow is situated at a charming heritage house on Newcastle Street, Northbridge, popular for it’s American soul food menu. On a Friday evening, my partner in crime, Elwyn and I head towards The Old Crow for dinner. This was my first visit to The Old Crow and I have heard so much about their food. 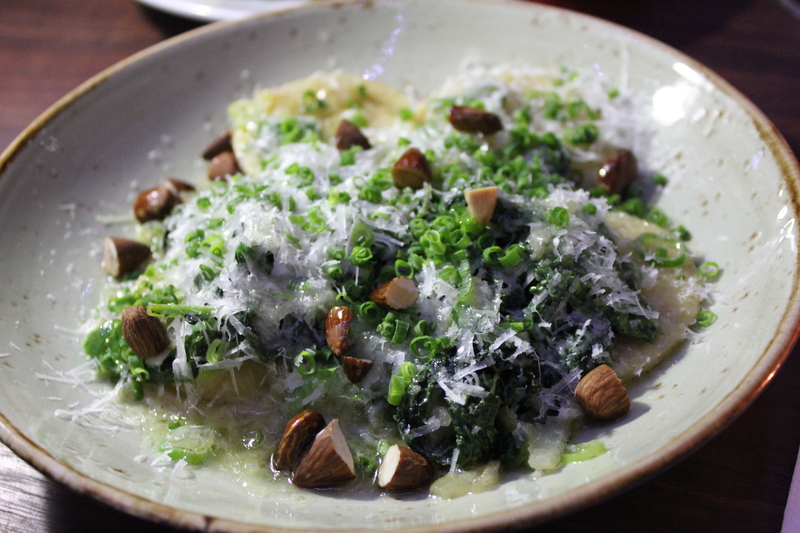 We started off with the cauliflower ravioli, cavolo nero, almonds, parmesan ($16.50). The cauliflower ravioli is fresh, creamy with a strong cauliflower flavour surrounded by cheesy textures from the parmesan with a moorish touch from the almonds. 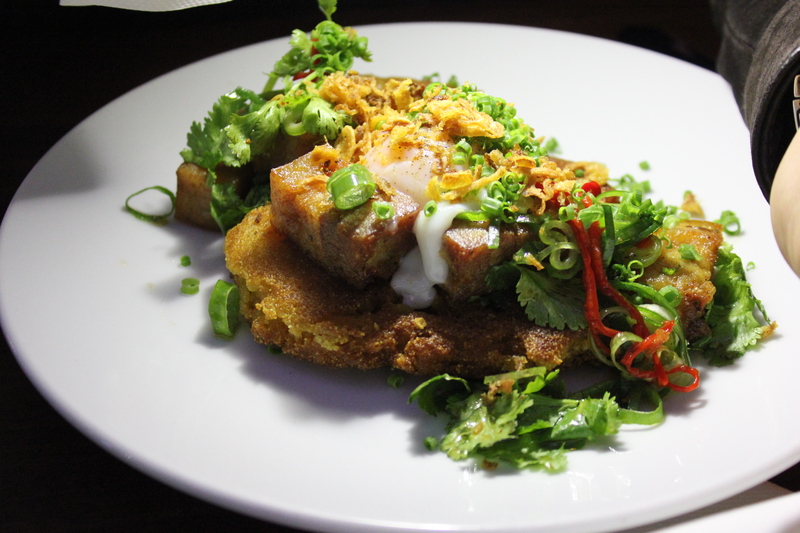 Next up, was the pork belly, johnny cake, chilli, maple, coriander and slow egg ($16.50). Texturally well balanced, the dish is a combination of crisp, sweet and spicy flavours with oozing yellow liquid from the slow egg. The pork belly was very tender complementing well with the crisp textures of the johnny cake. It’s a fresh and bursting full of flavour. 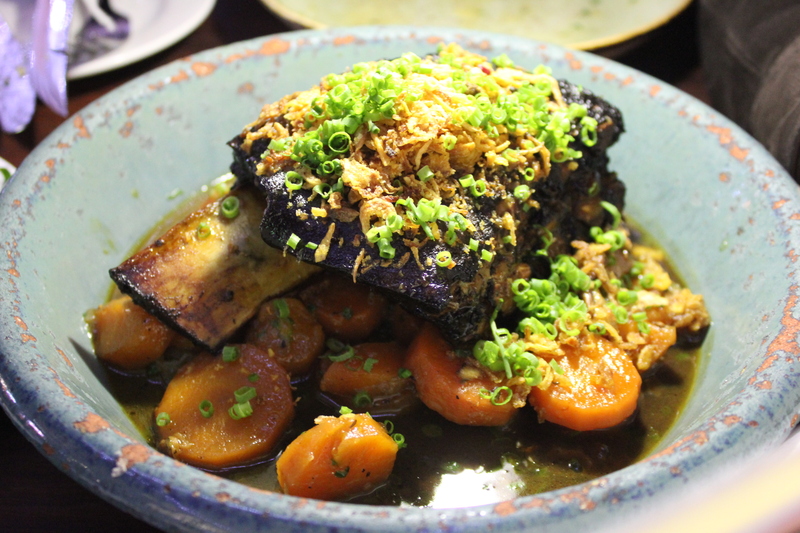 The smoked beef short rib, bacon and braised carrots ($35) was a delicious and hearty dish. Smoked to perfection, the tender beef fell off the bone easily. The little hints of bacon gives a punch of salty flavours to the dish, giving it a lovely flavour. 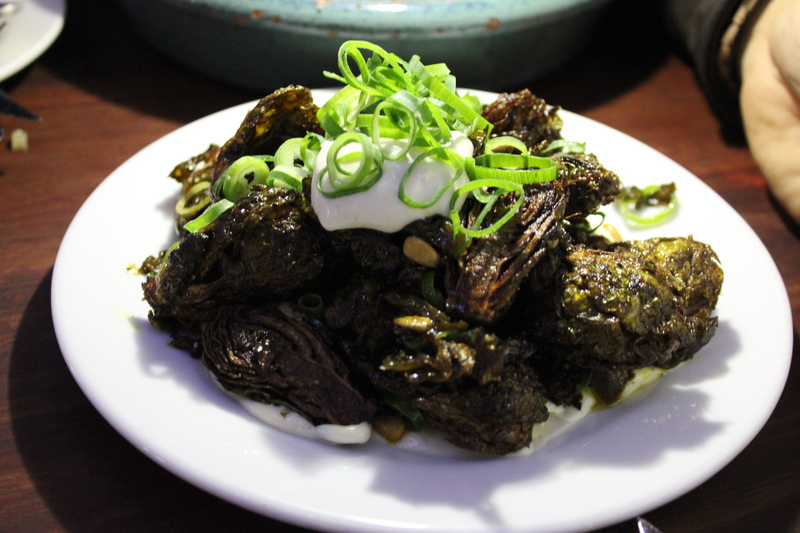 To go along with our dishes, we shared a serve of brussel sprouts, chili jam, pine nuts and buttermilk ($10). If you are not a fan of brussel sprouts, I recommend you to try this dish and it will change your perception of brussel sprouts and maybe, you will fall in love with them. It’s cooked perfectly to crisp with an added chilli kick from the chilli jam. Definitely worth a try! To finish off an epic feast, we indulged in an apple sorbet, milk jam, sherbet and apple “prawn cracker” ($14) for dessert. Initially, we were tossing between the buttermilk pannacotta but settled for the apple sorbet based on recommendation of our waitperson for a well presented desserts. Compared to our hearty main and snack dishes, the apple sorbet was the perfect choice. It’s light and refreshing. 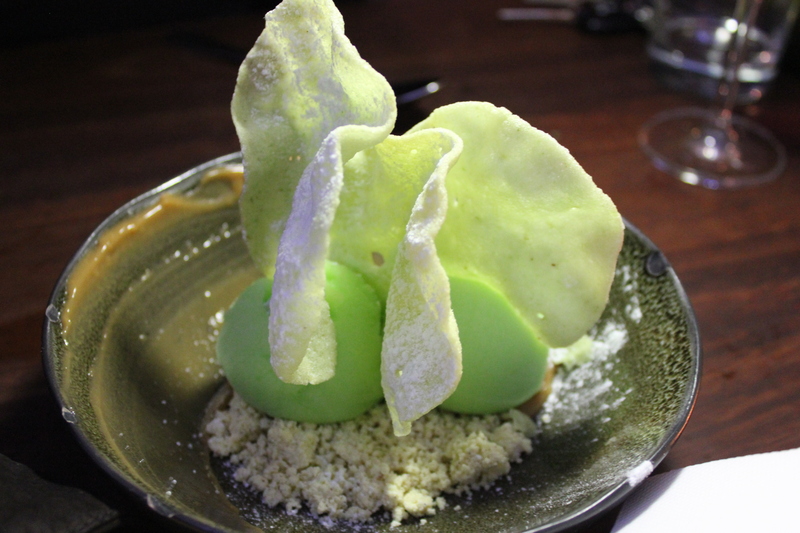 There’s a slight hint of sour textures as Granny Smith apples are used to make the apple sorbet. At the end of the evening, we indulged and we feasted on a variety of American soul food. The food at The Old Crow is put together with lots of heart and soul. The service is faultless, efficient and friendly. I highly recommend The Old Crow and will definitely be back to try the other dishes from the menu – I had my eye on the buttermilk pannacotta!